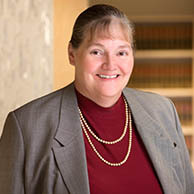 Mary Corporon has been appointed by Utah Governor Gary Herbert to serve on the newly established Utah Indigent Defense Commission. The Utah Indigent Defense Commission, among other things, will be authorized to collect data from local indigent criminal defense authorities for the purpose of studying the provisions of indigent criminal defense services statewide and report any findings and/or recommendations to the Legislature. The Utah Indigent Defense Commission will also be authorized to assist local jurisdictions to meet minimum standards of effective representation, as well as providing advice, guidelines, and financial assistance to defense service providers. Congratulations Mary on your appointment to the Utah Indigent Defense Commission. Read more about the Indigent Defense Commission here.